So you remember my recent hairbrained scheme to help me get rid of my UFO’s? My Hit List? This is going to be sorta like the finish along goals, only personal targets. May post APB’s for groups of quilts at a time. One half of the quilt is done, the top half. This is the highlighted, shiny, planned side of the quilt. The debonaire brother that has style class and alternating blocks. Showing many kinds of techniques like curved piecing, strip piecing, paper piecing, chunking, sashing & cornerstones. Latest artist rendering of the quilt. 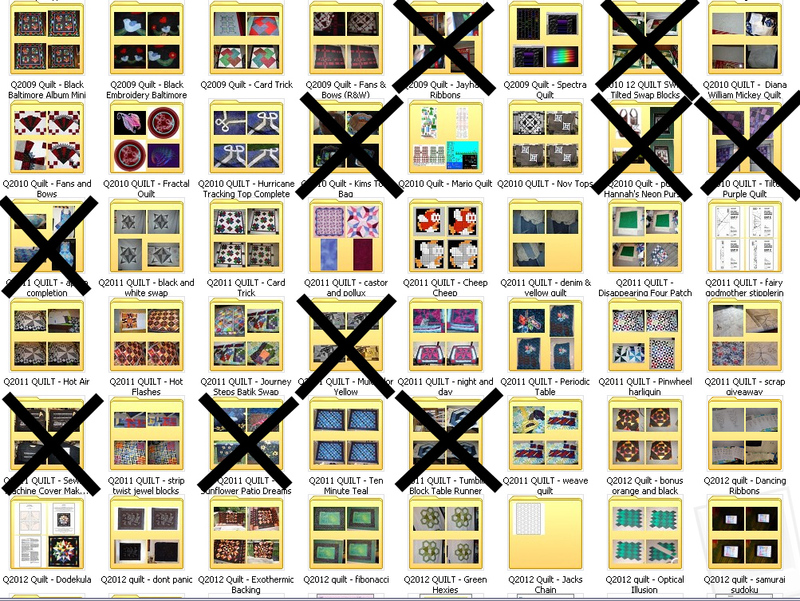 The other half of the quilt is what is wanted, more highly charged. The back half of the quilt, the rough, free flowing, go with the flow kind of quilt. The scruffy brother that may or may not be in trouble with the law. Still in progress, but very close to completion & capture. 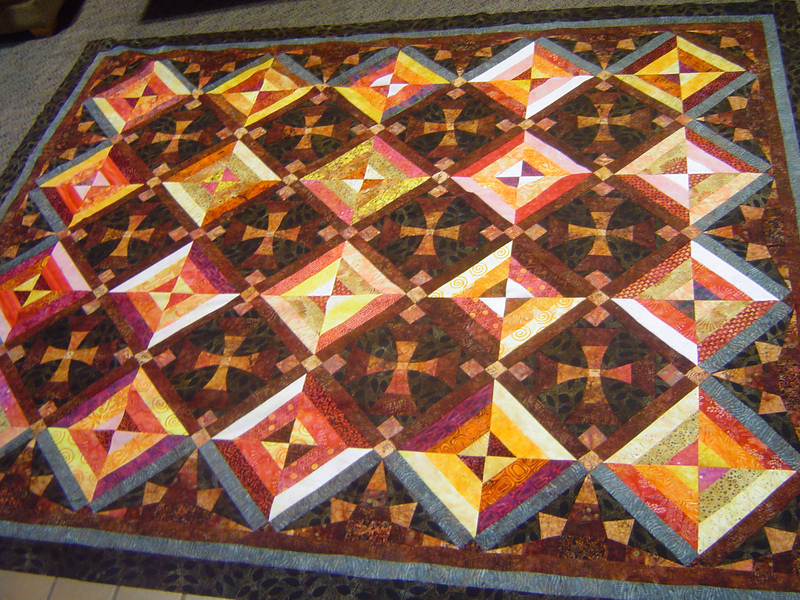 Showing many kinds of techniques like varied pieced borders, center medallion themes. 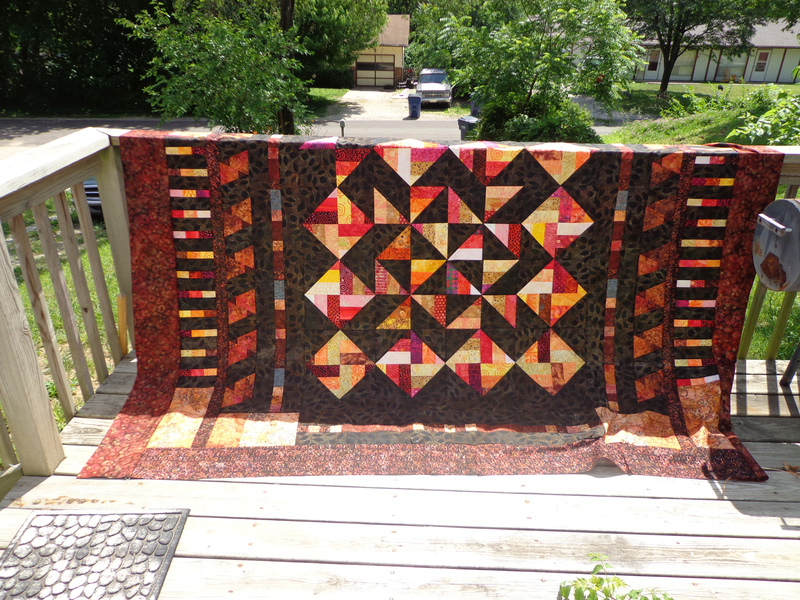 Both quilts wanted in conjunction for the same quilt. Be on the lookout for this UFO. Dangerous & HOT! 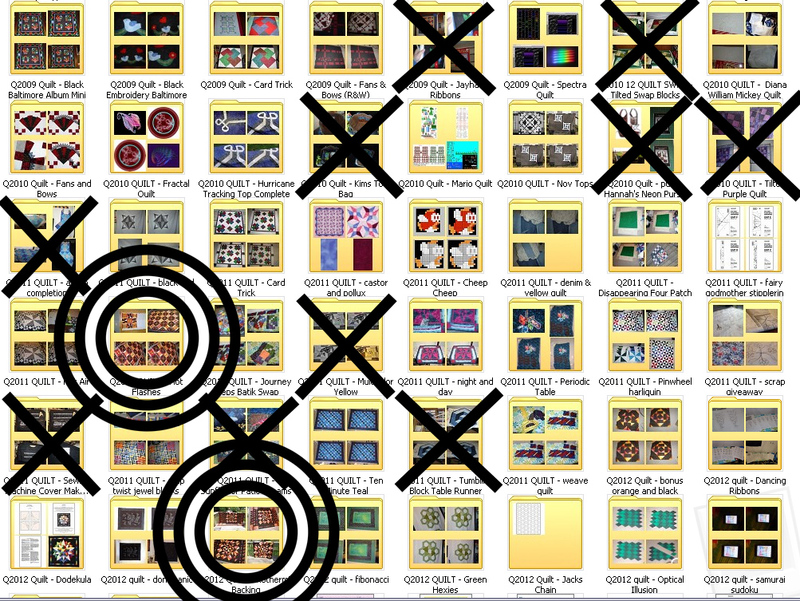 After seeing all my quilts in a large laundry basket, I decided to create a UFO Hit List for completing my quilts. Perhaps this will give me an incentive for finishing that will seem more valuable than the Finish A Long. 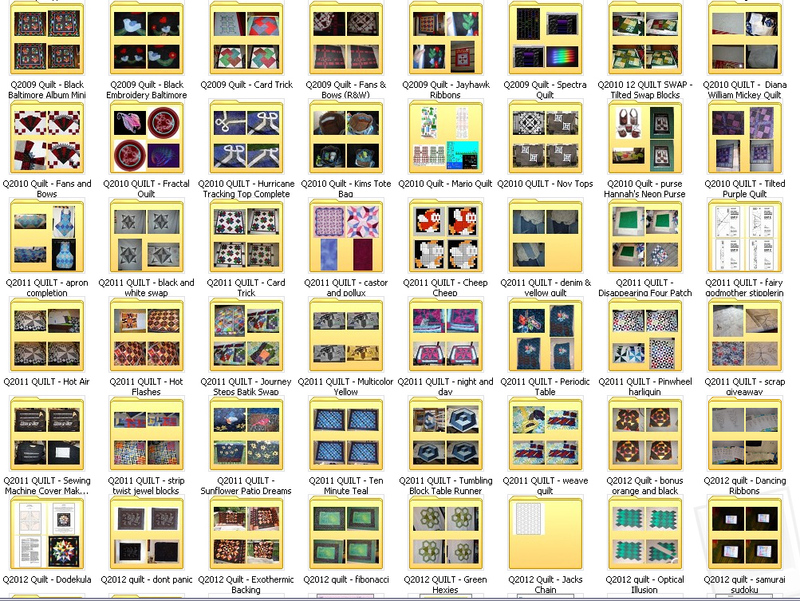 I wish I had Seamed UP data to aid in this, but for now, I’ll have to rely on my memory & my actual quilts that are in front of me. I don’t know how when or why I got so many UFO’s. These are the ones that got special folders in my Pictures file & I’m sure I’ve missed some here. Some of the items in this list I may never make (the fairy godmother one, but you never know). Some I have made, so I should cross them off the list. Some of these have morphed & changed, and some are never started yet. And I KNOW I’ve missed one or two. Or 5. But this is pretty much my list. In order by year of start date. So maybe seeing this and posting my UFO hit list I can visually see making progress. But this would also mean a new hit list generated for every new project. Stats at the beginning of the project, July 15, 2012. We’ll see where this project goes (if anywhere). I know I could always put a half a cross on everything that has gotten to the quilt top stage. One by one on some days (maybe I’ll pick a day of the week) I’ll put a target up on a quilt or two that I could highlight. And tell me if you make up your own quilt hit list. You are currently browsing the archives for the UFO Hit List category.